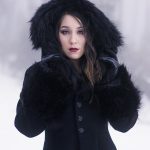 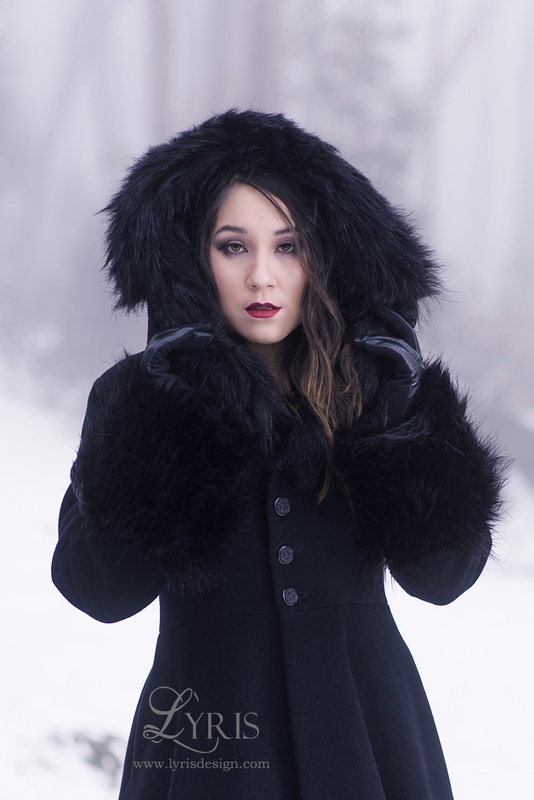 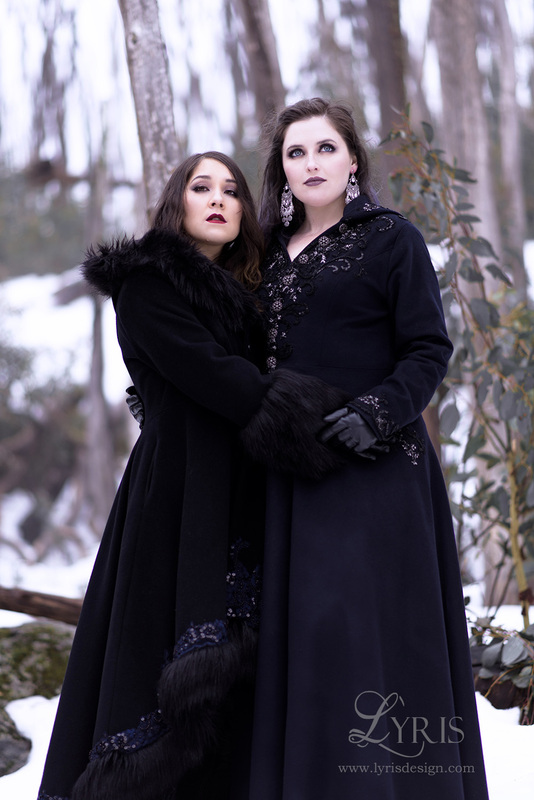 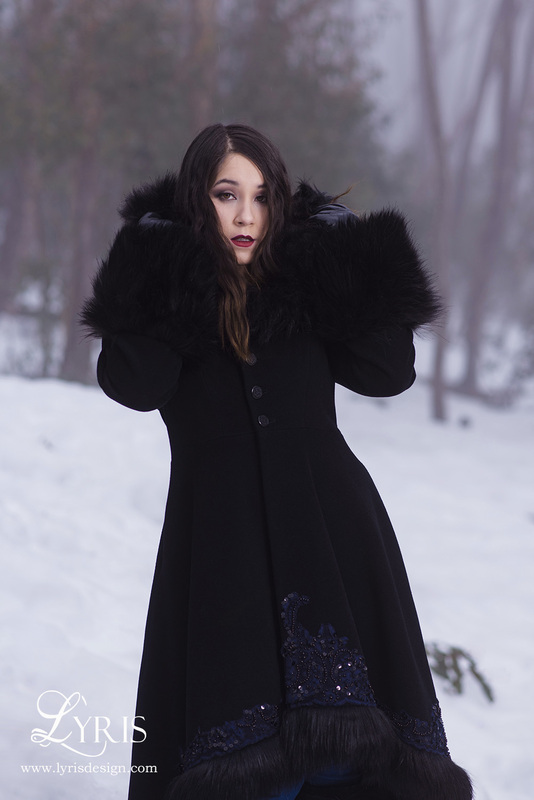 This sumptuous winter coat is made from a thick, plush black wool for extra warmth. 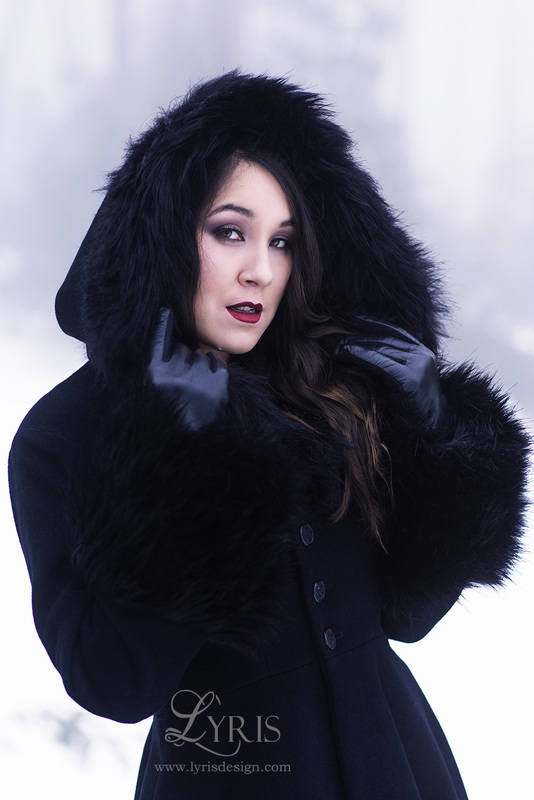 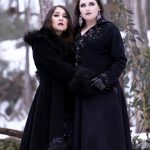 The deep hood, full cuffs and half circle skirt are trimmed in luxurious faux fox fur. 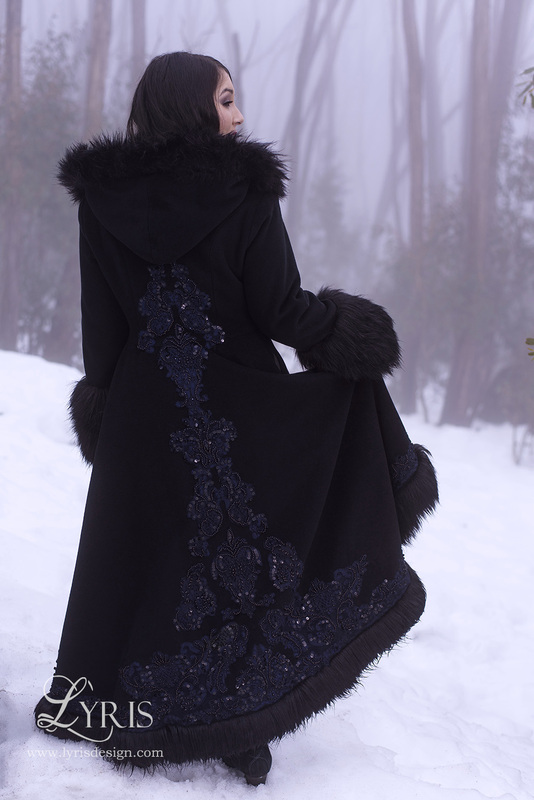 It has invisible pockets, and shimmers royally with navy beaded lace applique.